Parsley is a staple of the cottage garden with numerous herbal and culinary uses. 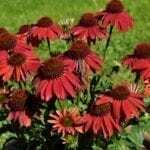 It is easy to grow and there are several varieties from which to choose. Parsley plant problems are rare but a few insects and fungal diseases can become troublesome. Most disease pathogens affect the foliage but a few diseases of parsley can attack the crown and roots and cause the plant to die. Preventing parsley plant diseases begins with good site control and cultivation. There are very few cuisines that don’t taste and look better with a bit of fresh parsley, but this old-fashioned herb is more than a garnish on your breakfast plate. It has a history of use as wreaths and garland, medication and flavoring. Growing parsley is simple once you get over the slow germination hurdle and it is easy to harvest in a progressive manner, so a fresh supply is always available. Parsley plant problems are usually pest related, but occasionally, a plant will become afflicted with a disease. Some of the more common symptoms are listed here as well as a guide to treatment for the various diseases of parsley. 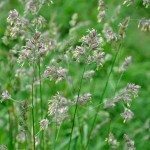 The tasty herb is a favorite of insects, rabbits and grazing wild animals. If you can keep your parsley from succumbing to these munchers, you still have some other obstacles with which to contend. Aster yellows, for instance, is a disease of parsley that is transmitted from leafhoppers. Parsley is a member of the same family as carrots and celery and is prey to similar diseases. The most common issue is fungal disease. These come in many forms and generally afflict plants in moist regions or when unseasonably wet, warm weather is present. Soil borne pathogens transmit to the plants from the roots or by splattering onto the leaves. Overhead watering and improper circulation cement the formation of fungal spores and their transport. 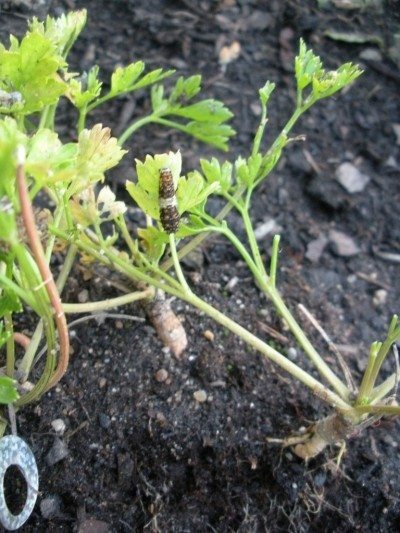 Cultural care is essential to preventing these forms of parsley plant diseases. Crown/root rot – Crown and root rot are associated with soggy soil. The perpetrators are both a fungi and bacteria found in soil that burst into action when the ground is moist. Leaves turn yellow and brown followed by stems and the entire plant discoloring and dying. Roots will blacken and decay and new shoots will not form. Leaf Spot – Another of the common problems with parsley plants is leaf spot, caused by the Septoria fungus. 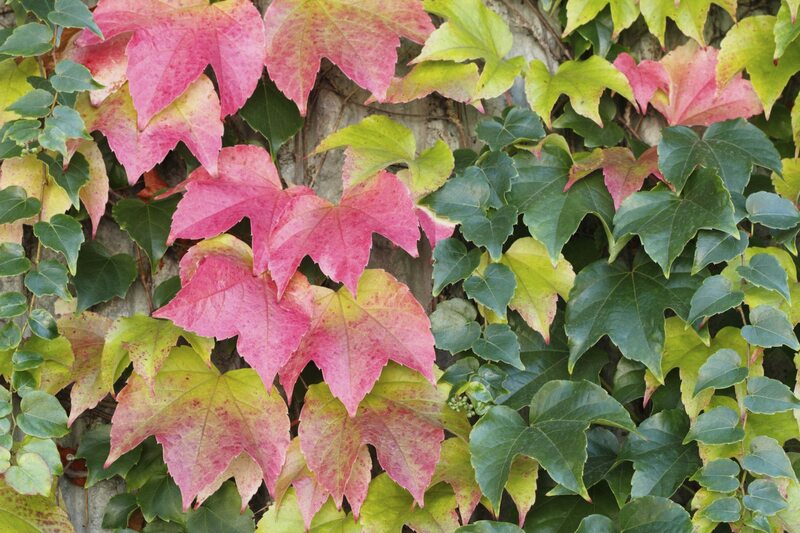 Yellow spots show up on the foliage and darken to brown with a golden halo. Leaves wilt and occasionally fall off. The entire plant is weakened by the disease. The fungus is seed borne or splashed onto plants. This is considered the most important of the parsley plant diseases and has caused entire crops to fail. Blight – Blight is caused by the fungus Botrytis and is also called gray mold. 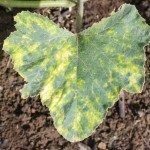 The disease starts out with brown to black spots on the leaves. White-gray fungal growth is sported on all leaf surfaces over time. Leaves fail to thrive and die. There are a few varieties of parsley that are resistant to the most common diseases, among them ‘Paramount.’ If seed is not available from one of the resistant varieties, cultural control is often effective at combating these diseases. Use a drip line to water plants and irrigate in the morning so there is plenty of time for the parsley to dry. 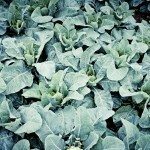 Practice crop rotation to prevent soil borne pathogens from infesting successive crops. Thin the herbs to encourage circulation and plant parsley in a sunny location. Air and sunlight are crucial to treating parsley diseases. Some fungal diseases will respond to sulfur fungicide applied at the first sign of infection. If plants are already heavily infested and failing, pull them up and discard them and start anew. 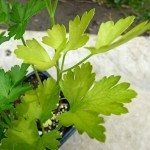 ParsleyParsley Has Yellow Spots On Leaves: Why Does Parsley Turn Yellow?